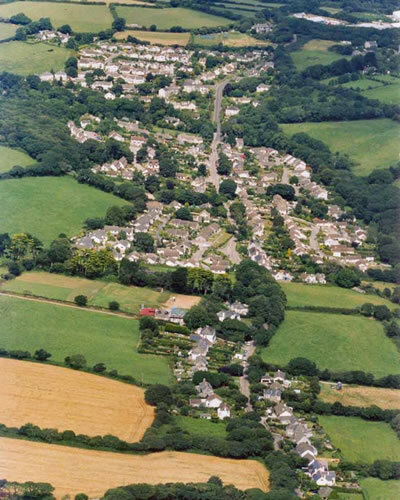 The village nestles in the shelter of Trewen Downs. Trees grow by the stream which flows under the main road, and on to the sea at Maenporth Beach. For St Budock Parish Church, follow Churchtown, a small road on your left, before you reach the village. In the centre of Budock Water are the Village Hall, General Store and the Trelowarren Arms public house, outside of which was the site of the old village pump which now has a small garden and seating area. A Village Carnival is usually held in August each year.